Ottawa Extreme Clean Offers Ozone Generator Rentals at an Affordable Price. We only stock top quality high output generators that are commercial grade and are available for long term contracts for commercial or for residential use. Ozone generators are used to remove and destroy odours from Tobacco, Fire, Smoke, Decomposition, Viruses, Bacteria and Mould. Ozone (O3) is a colorless gas that is a molecule made up of 3 atoms of oxygen. Simply put it’s normal oxygen (O2) with an extra oxygen atom attached to it. Ozone is one of the most powerful disinfectants in the world, next to Fluorine. It is 3000 times more potent than chlorine in destroying germs, bacteria, and viruses. When generated by an ozone generator, ozone is quite unstable, one of the three oxygen atoms easily splits off the molecule and attaches itself to any particle or pollutant with which it comes in contact. This causes oxidation of the pollutant particle rendering it neutralized and unable to reproduce. 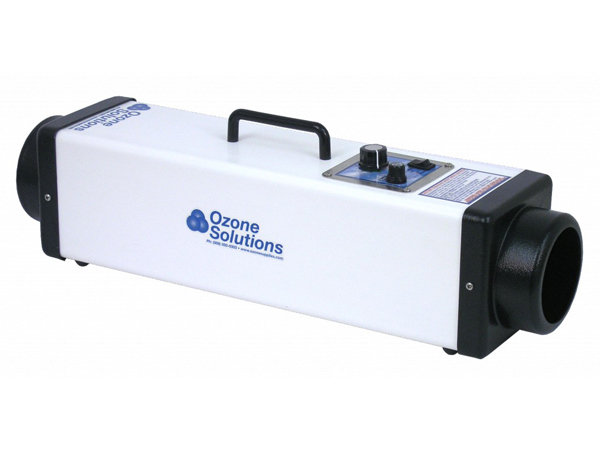 Ozone is also Eco-Friendly and when used as directed , an Ozone Generator can safely and completely kill odours, mould, mildew, bacteria and viruses – even extremely resistant ones like MRSA, and Ebola. After Ozone cleaning, it leaves behind just pure, clean oxygen. We offer pickup and Delivery Services for Ozone Generators in the Ottawa Area. We also offer instruction on how to use the generator. Simply call us directly at 613-276-8667 or fill in the contact form to the right of the page. Ottawa Extreme Clean Also offers Odour Control Services for Mould, Tobacco, as well as Decomposition Situations which could require additional products, technical knowledge and training as well as equipment.